One of the world’s most famous handset manufacturing company, Nokia has re-launched one of its flagship handset devices, the Nokia 3310. As with the old version, the new Nokia 3310 also comes with physical buttons for easy navigation. The phone has also been upgraded to run on the popular Nokia series 3.0 OS. Additional features that users will also find amazing include its support for microSD storage of up to 32GB, MP3 player, 2.4-inch QVGA screen, 2MP camera with LED flash, Dual SIM support, FM radio, 2G connectivity, battery life with up to 22hours talk time. 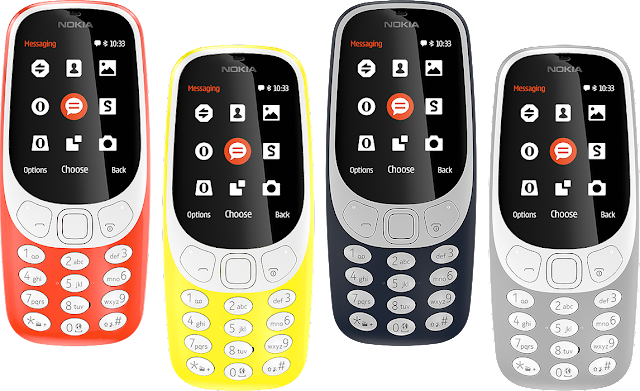 The phone is made to fit for the current trendy nature of Smartphone users, the new Nokia 3310 also comes with four shades of colours to choose from, i.e. warm red and yellow and dark blue and grey. As known by all with all very robust standby batteries, the new Nokia 3310 also features an incredible battery standby for up to a month. 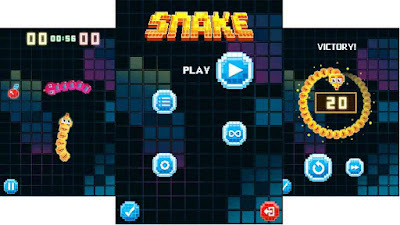 And oh, your favourite Snake game was not left out of the new design. The new Nokia 3310 also comes at an affordable price of not more than $50.